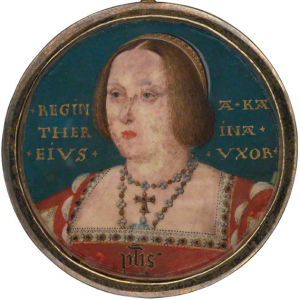 The first wife of Henry VIII, Katherine of Aragon, was also the longest in that position. 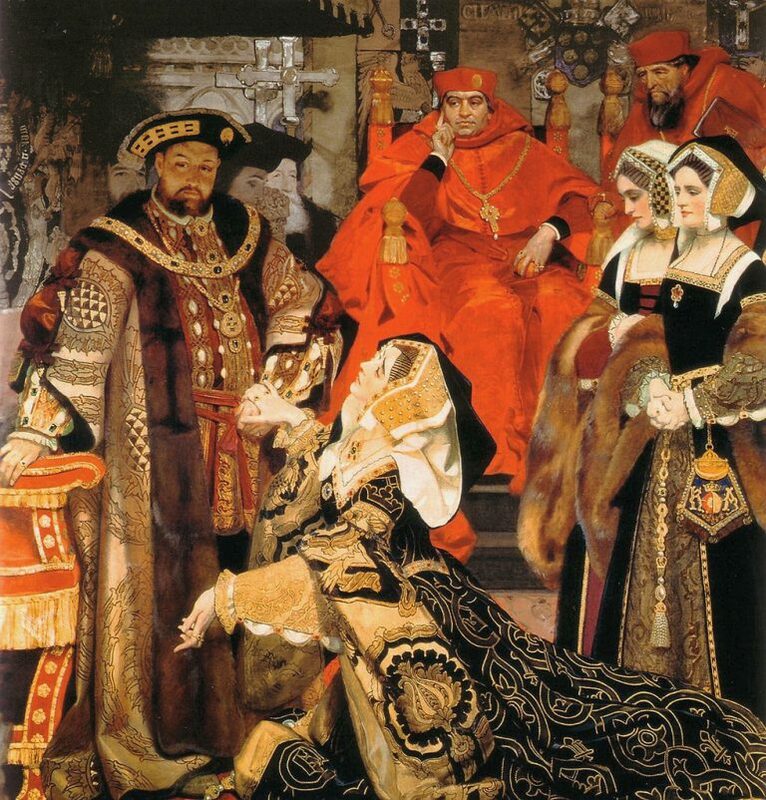 In the end they were married over two decades before Henry married his ill-fated second wife Anne Boleyn. “Sir, I beseech you for all the loves that hath been between us, and for the love of God, let me have justice and right, take of me some pity and compassion, for I am a poor woman and a stranger born out of your dominion, I have here no assured friend, and much less indifferent counsel: I flee to you as to the head of justice within this realm. Alas! Sir, wherein have I offended you, or what occasion of displeasure have I designed against your will and pleasure? Intending (as I perceive) to put me from you, I take God and all the world to witness, that I have been to you a true and humble wife, ever conformable to your will and pleasure, that never said or did anything to the contrary thereof, being always well pleased and contented with all things wherein ye had any delight or dalliance, whether it were in little or much, I never grudged in word or countenance, or showed a visage or spark of discontentation. I loved all those whom ye loved only for your sake, whether I had cause or no; and whether they were my friends or my enemies. This twenty years I have been your true wife or more, and by me ye have had divers children, although it hath pleased God to call them out of this world, which hath been no default in me. 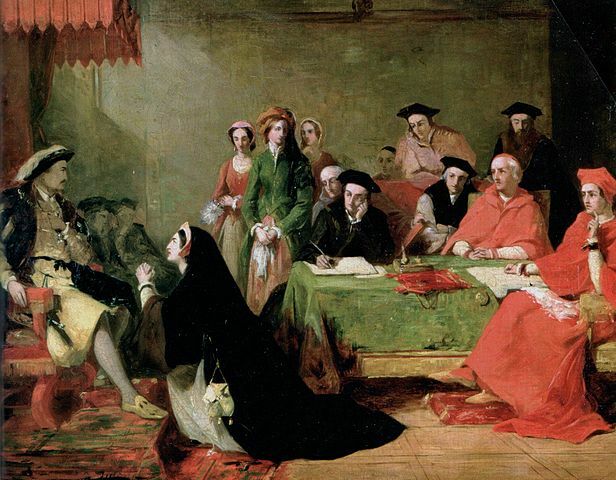 On the following day, after the above events, a diplomat and cardinal for France wrote a letter to King Francis I explaining the site. Friday last the King’s cause was brought before the judges, who sat at the White Friars’. The Queen appeared in person, and the Dean of the Chapel for the King. The Queen refused the judges. The King desired them to determine the validity or nullity of his marriage, about which he had from the beginning felt a perpetual scruple. The Queen said that it was not the time to say this after so long silence. For which he excused himself by the great love he had and has for her. He desired, more than anything else, that the marriage should be declared valid, and remonstrated with the judges that the Queen’s request for the removal of the cause to Rome was unreasonable, considering the Emperor’s power there; whereas this country is perfectly secure for her, and she has had the choice of prelates and lawyers. Finally, she fell on her knees before him, begging him to consider her honor, her daughter’s, and his; that he should not be displeased at her defending it, and should consider the reputation of her nation and relatives, who will be seriously offended; in accordance with what he had said about his good will, she had throughout appealed to Rome, where it was reasonable that the affair should be determined, as the present place was subject to suspicion, and because the cause is already at Rome. 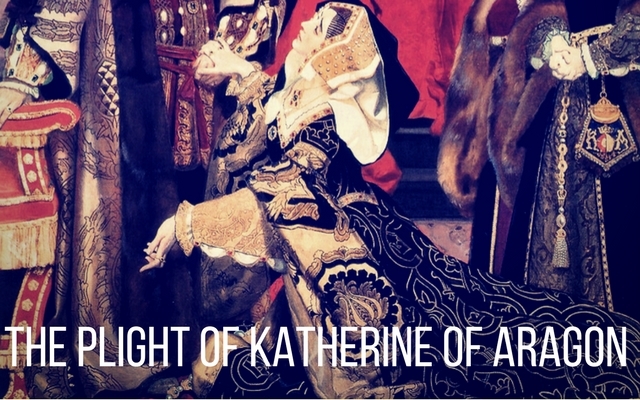 In Katherine of Aragon, both Henry VIII and Anne Boleyn had a formidable opponent. What did they expect to get from the daughter of Isabella I of Castile? Did they really think that she was just step aside from what she knew in her heart was rightfully hers? 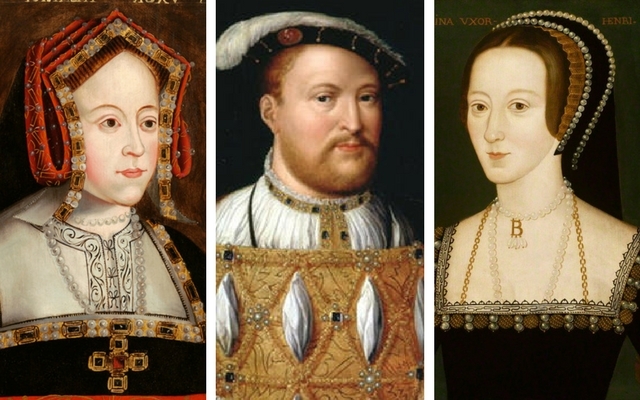 It was another four years before Henry and Anne married and three years later both Anne and Katherine were dead. ² Primary Source: ‘Henry VIII: June 1529, 21-25’, in Letters and Papers, Foreign and Domestic, Henry VIII, Volume 4, 1524-1530, ed. J S Brewer (London, 1875), pp. 2523-2531. British History Online http://www.british-history.ac.uk/letters-papers-hen8/vol4/pp2523-2531 [accessed 21 June 2017]. Do you ❤️ this website and cannot get enough of it? Or would you just like to show your support for me, Rebecca Larson….here is an option for a one-time donation through a secure PayPal page. Thanks in advance!